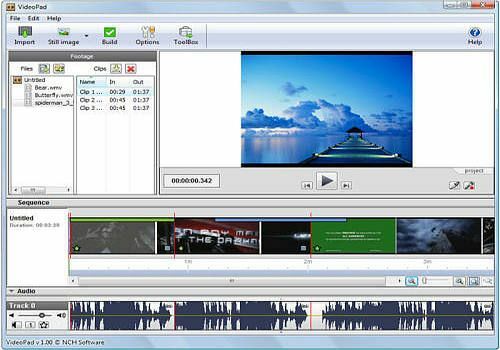 VideoPad is video editing software for Windows. This program lets you edit video and movies. This video editing application allows you to import various file formats including .avi, .wmv, .3gp, .wmv, .divx and many others. VideoPad is a full featured, professional, video editing application which allows you create movie projects from various video clips or a single video file. VideoPad is free.